A city spokesperson told NBC 5 by phone they’re working to fix the kinks. 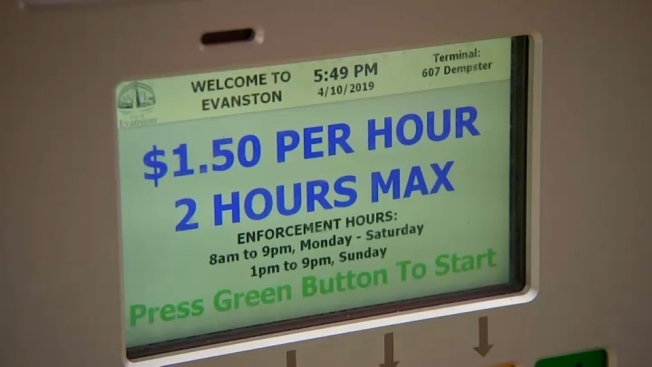 Eighty parking pay boxes have replaced about 850 city owned parking meters in Evanston. NBC 5’s Natalie Martinez has the details. Eighty parking pay boxes have replaced about 850 city owned parking meters in Evanston. Dawn Okamoto, who owns Secret Treasures, has been in business on Dempster Street for 26 years. But sales took a nosedive, she says, because of street parking. "The roll out started March 1. It has been nothing but a disaster," she said. "The biggest problem is you can only park once in a zone in a day." She showed us a customer’s violation ticket for $25, which was issued a half hour before their receipt expired. "It's non stop," she said. Residents, like Robert Grosshandler, told of their own experiences with the contentious meters. "I think the pay boxes are a fine idea," he said. "The execution is terrible." In the meantime, Okamoto worries they will continue to have a negative impact on local businesses. "It’s absolutely driving people away," she said. "Common sense should prevail on this and that’s what’s not happening."